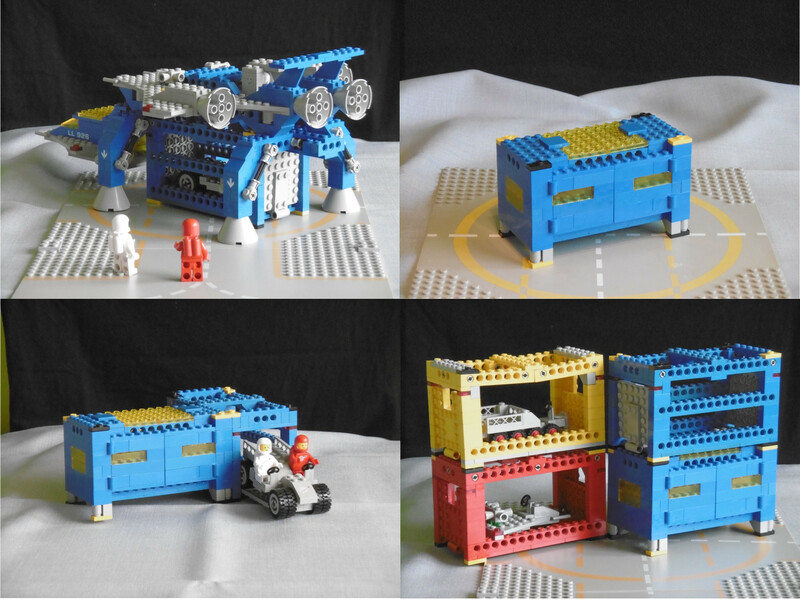 A Cargo System for (Classic) Space Minifig scale models based on standard cargo units (similar to ISO Containers). ISO Containers are a great idea and nowadays they can be found anywhere. Even break rooms on construction sites and office buildings are built with units based on ISO Transport Containers. I wanted to have a similar system for my Classic Space models: a cargo unit with the right size to be transported with cargo ships and big enough to carry everything you need in space and even to build a room inside – just like ISO Containers in our world. 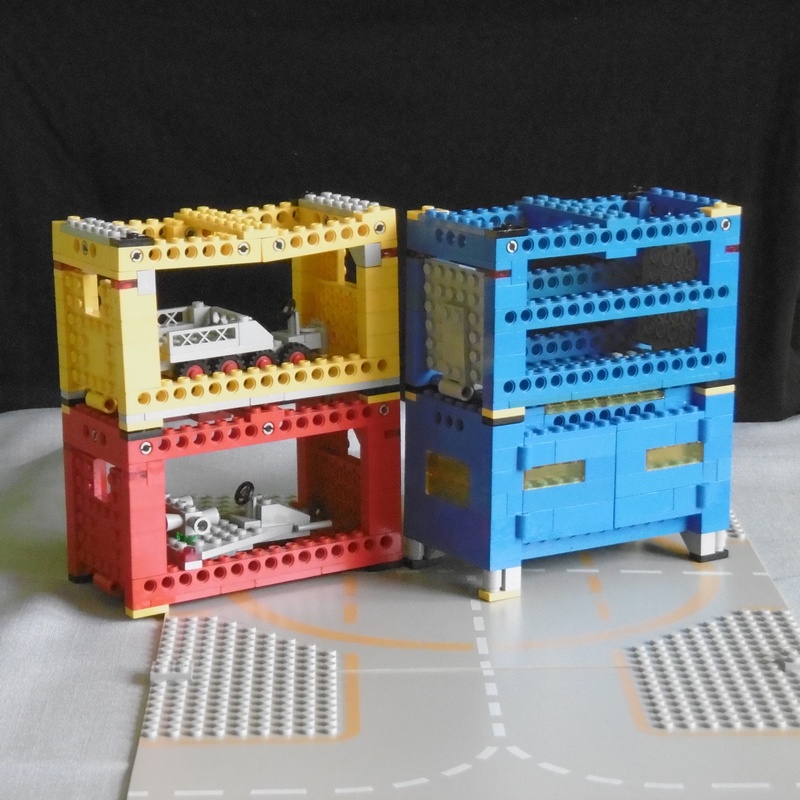 My favourite dimensions for a “Space Cargo Unit” (SCU) were: a footprint of 8×16 studs and 8 bricks of height – No longer than the longest Technic beam, wide enough for a 6-wide interior of a room and high enough for a Minifig to stand inside with comfortable headroom.